It’s 2018, the standards have been set. When it comes to reaching your desired goals and standards of “success” velocity is where most are looking to reach their individual goals. I won’t fault the player, I’ll fault the game dredging players through the muck of pitching attributes over pitching necessities in terms of success rate in competition. If you are looking to be a great pitcher through and through, and in your present state AT ALL TIMES, developing yourself as a well rounded pitcher is EXTREMELY necessary to reach the apex of the game. Truth. Pardon the opening rant. Lokation Nation launched about 2 years ago. It has been a year since the E-Guide on acquiring pitching command has been released. I can’t even begin to describe the amount engagement I’ve received from players regarding pitching command. As many know, I extend myself on social media freely and willingly, and try to help as many as I can while being brutally honest at the same time. What does this have to do with weighted baseballs? 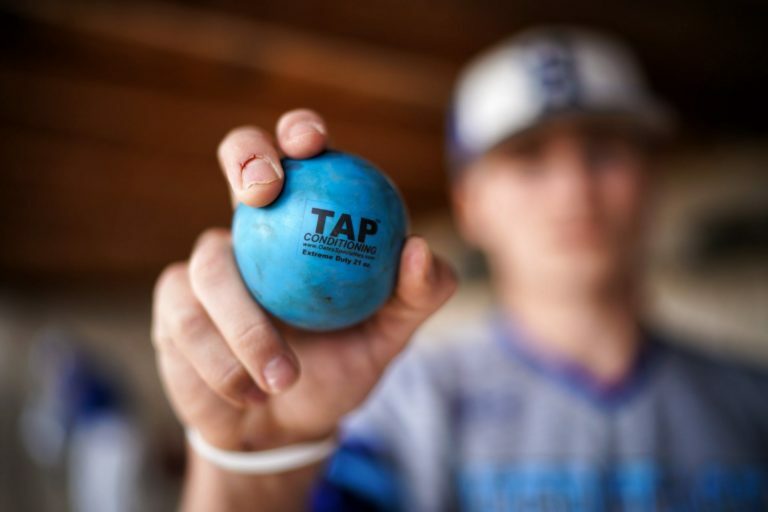 A significant amount of outreachers are pitchers who have been through weighted ball programs describing the degree of command issues they encounter or can’t seem to address on their own. First and foremost I would like to say that I completely support an aspiring players goal to achieve whatever it is they want to achieve. I support and train my pitchers accordingly at Lokation Nation (Frederick, MD) while being brutally honest about what brings in game results, and what brings opportunity. Helping aspiring pitchers find and understand that BALANCE is a mission, while it may produce an internal struggle in the heart of aspiring players. I also reserve the right to tell them achieving a singular goal doesn’t mean squat in terms of consistently getting hitters out. PITCHING and locating gets hitters out, at relevant speeds and above avg speeds. It’s important to paint a full picture of development for aspiring pitchers so they truly understand all that they need to achieve more than just getting signed, but thriving once advanced. Weighted baseballs… a hot and trendy topic for some years now and certainly in 2018. I’d presume many think I cast down weighted baseballs as sorcery or some other sort of magic witchcraft in terms of development and velocity gains. The truth is, I support any pitcher’s goal to improve themselves as an athlete. If an individual feels something works for them and they like it, keeps them healthy, and its helping them achieve their present goal, then I’m glad they found their niche and comfort zone. I may not have taken that route myself, but I won’t rob a player of exploration and finding what works the best for them so long as everything was correctly implemented. I DO NOT cast weighted baseball training as a poor training method in terms of velocity development or being used to potentially clean up parts of arm action. This works for some in how they help players make motion adjustments which is a different task than pitch command. I’m indifferent to them. My issues, experience, and logical indifference with weighted baseball training is its potential negative affect on pitching command. Pitching command is an integral part of pitching development and in my experience, there’s a provoking issue with aspiring pitchers throwing weighted baseballs having issues with pitching command in practice and competition. The main problem here is differentiation. — Does Rinaldo practice kicking 1,000 precise balls top shelf with varying weights? 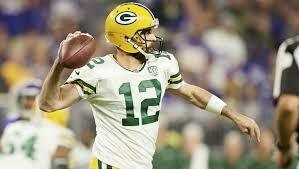 — Does Aaron Rodgers practice throwing 1,000 precise deep balls with varying weights? — Does Ray Allen practice shooting 1,000 3 pointers with varying weighted basketballs? 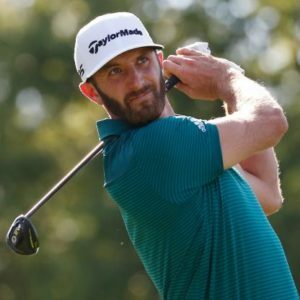 — Does Dustin Johnson practice hitting 1,000 golf balls with varying weighted balls off the tee box? I think we get the idea. They don’t. ACCURACY comes down to consistency in compeitional weight. Furthermore, logical differential for someone training to be an elite executor comes down to constant competitive weight coupled with changing target, trajectory, positioning. There is a reason you can’t ask any other athlete in the world who strives to do a task accurately why they aren’t varying weight of object… It doesn’t make sense. It would be laughable to them. If Aaron Rodgers needs to be elitely accurate crushing receivers all around the field, you can bet he isn’t going to improve that task changing the entire scheme his brain and body have created for a very precise weight. Your body needs to get more accustomed to a singular weight with a very direct task in order to truly excel in consistent results. If I focus on locating a baseball 10 times to a target I’ll have a pretty good understanding of what I’m doing or need to adjust to execute hitting the target if i’m going at a pace allowing me to feel. If after 10 baseball throws you hand me a wiffle ball I’m going to chuck the ball into the ground a few times due to minds memory of feel and weight interpretation before I can try to make an adjustment. If you thorw a 9 oz ball after the wiffle ball it’s going to be high due to minds weight interpretation until an adjustment is made. You see… It’s not about the WEIGHT, its about the TASK and the minds directive. It’s not that we can’t make adjustments, its our minds directive to improve and make adjustments with competitional weight. If the competitional weight is a wiffle ball or 9oz ball, then use that specific weight. Insulate consistent circuitry with a specific task. If a pitcher with very poor ability to command believes they can learn to execute targets 70% of the time by changing competitional weight consistently in their training sessions, they have been duped or they’re insane. 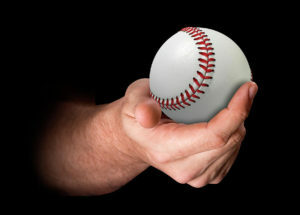 I’m indifferent if you are using weighted baseballs to improve yourself as an athlete or a THROWER (conditionally under proper monitoring and implementation of a program to lessen injury risk), but I can’t support them in the sense of improving command or in any way providing “differential learning”. Labeling differential learning in terms of improving pitching command by changing competitional weight is unintelligent and absurd. Use logic. 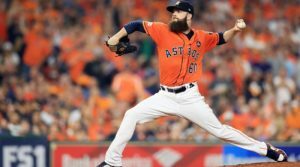 Seasoned pitchers who already have a significant degree of feel may explore and potentially thrive with weighted baseball programs to increase velocity with no hindrance to their control or command. For instance, if I’ve thrown 30,000 pitches in my career and I possess great command, a weighted ball program most likely won’t distort the Myelin I’ve developed for weight and procedure. It’s the 95% of all aspiring pitchers that may have no feel that may suffer from improving their command. I support anyone’s effort to improve the quality of their game, for the many who have reached out, I don’t support actions that hinder necessary functions required to be a successful pitcher in games. Command competitional weight, do programs if you desire, hopefully retain your command but understand the risk and potentially weigh (no pun intended) the concerns I’ve brought to light.